The charity totals from the Texas Stars' recent Pink in the Rink event have been released by the team. Texas raised over $25,000 for Komen Austin and the Texas Stars Foundation, the teams charitable organization. Fans contributed via tickets sales to the tune of $10,616.50. Great job, Austin! The Texas Stars Foundation, in conjunction with the Austin Affiliate of Susan G. Komen for the Cure® and the Cedar Park Regional Medical Center, announced on Thursday that Pink in the Rink raised over $25,000 for the Komen Austin Affiliate ® and the Texas Stars Foundation. The Texas Stars hosted their first ever Pink in the Rink night on Saturday, October 30th at Cedar Park Center. 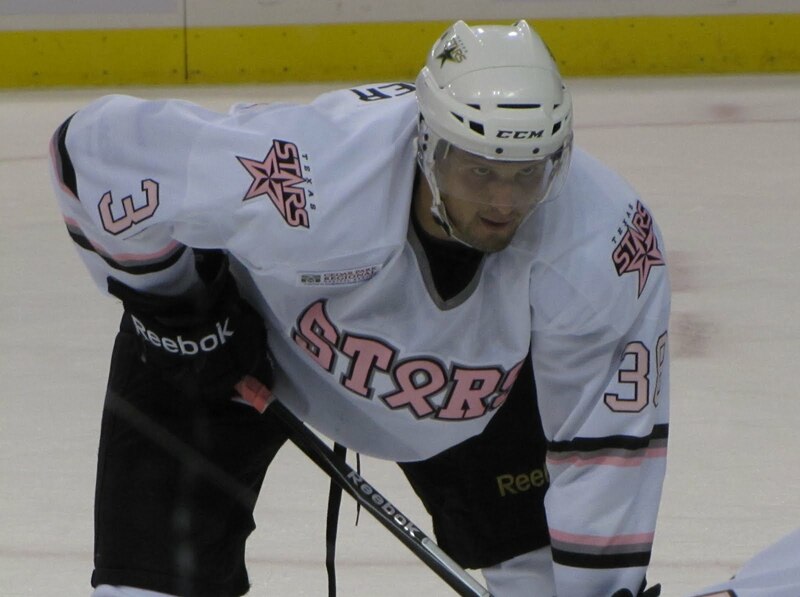 In a game against the Houston Aeros, the Stars wore themed jerseys to promote breast cancer awareness. Local area survivors participated in game activities and the Stars hosted several fundraising activities with proceeds going to both Komen Austin Affiliate® and the Texas Stars Foundation. In addition to the jersey auction, many players used pink taped sticks during warm-ups which were also auctioned off. The Texas Stars Foundation, with the assistance of Texas Stars player wives and girlfriends, sold autographed Pink in the Rink pucks. The Texas Stars donated $2 for each individual or group ticket sold. In all, $10,616.50 of the net funds raised were donated to the Komen Austin Affiliate®. The Texas Stars Foundation will present a check to the Komen Austin Affiliate® prior to the Stars home game on Friday, December 3rd at 7:30 PM as Texas will host the San Antonio Rampage at Cedar Park Center. The Texas Stars Ice Girls participated as a team in the Komen Austin Race for the Cure® on Sunday November 7th. The Ice Girls were able to generate $942.85 in donations for the race. As presenting sponsor of the event, Cedar Park Regional Medical Center handed out pink aluminum water bottles to the first 2,500 fans who attended the game.